Tata group stocks Tata Motors, Titan and Tata Steel were the top gainers on the Nifty 50, finishing the day around 1-3 per cent higher. The BSE Sensex rose 103 points to close at 35,319 on Wednesday while the NSE Nifty settled 23 points higher at 10,741. With that, the key indices ended with gains for a third straight session. Gains in IT stocks led by TCS offset losses in pharma, power and PSU banking stocks. Oil marketing companies Bharat Petroleum and Hindustan Petroleum fell around 1-2 per cent, reacting to rising global crude oil. Indian Oil, which had fallen earlier in the session, closed 0.3 per cent higher. Twenty seven stocks on the Nifty 50 finished in the positive zone. 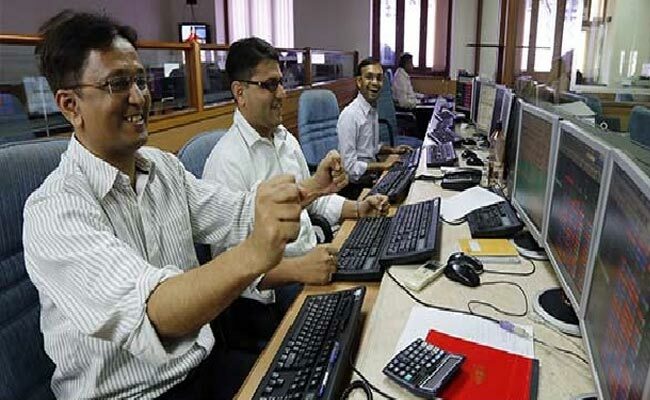 IT stocks rose, with the NSE sectoral index - Nifty IT - finishing 0.6 per cent higher. Among other IT stocks, HCL Tech rose 0.8 per cent and Infosys finished 0.4 per cent higher. Tech Mahindra went up 0.1 per cent. Brent crude futures hit a three-and-a-half-year high after US President Donald Trump pulled out of an international nuclear deal with Iran. This hurt the shares of oil marketing companies BPCL and HPCL. “The recent spike in crude oil prices accompanied by the sharp decline in the Indian Rupee vis-a-vis US dollar is a deadly cocktail for the oil marketing companies...Elevated oil prices are seen to take a toll on oil marketing companies (OMCs), putting their profitability and refining margin under strain,” said Rahul Agarwal, Director, Wealth Discovery/EZ Wealth. "Crude has risen by almost 65 per cent since June last year, the consensus seems to indicate that there is some further upside left in crude prices given the fact that US has pulled out from the Iran nuclear deal, putting the supplies coming online from Iran into question. Trump's move is also seen as risking worsening already-tense relations between Iran and US allies in the region," Mr Agarwal added. Jubilant Foodworks Ltd rose 2.1 per cent on bullish commentary by analysts after it said on Tuesday March-quarter profit grew over ten-fold. Hindalco Industries Ltd rose 4 per cent after US-based unit Novelis Inc reported a 9 per cent jump in quarterly adjusted EBITDA on Tuesday. Brokerage Edelweiss has maintained a 'buy' call on Hindalco Industries for a target price of Rs 325.